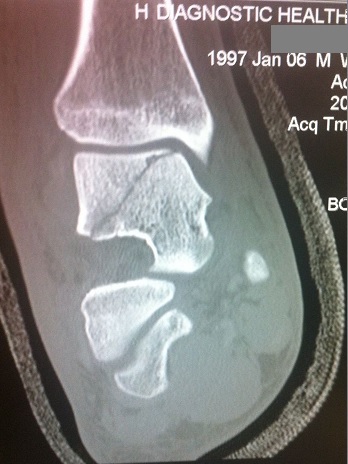 Below is a CT scan of a Talus body fracture extending from the subtalar joint into the ankle joint. Any change of the joint line could cause long-term problems in the joints affected making treatment of this type of injury critical. 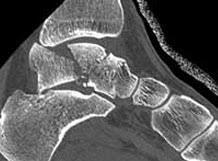 The image below is that of a Talus fracture seen on CT (Computed Tomography) scan of the foot. There is minimal displacement in this image with some comminution as the fracture progresses into the subtalar joint. 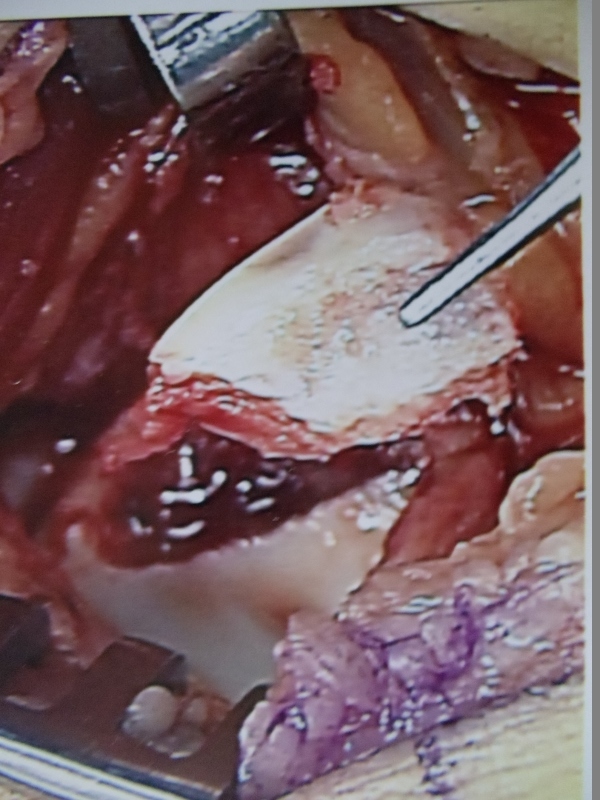 Two processes, lateral and posterior, project from the body of the talus. 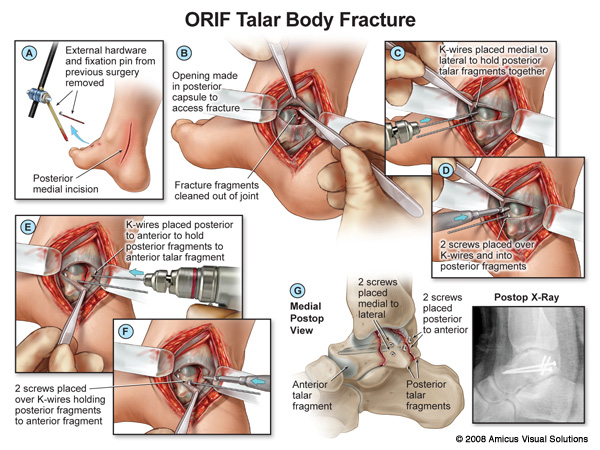 Either process may be fractured, either as an isolated injury or associated with other ankle or talar injuries. FHL runs between these tubercles and can have synovitis in this area (ballet dancers). Serves as attachment of posterior talofibular ligament. Lateral tubercle has an articular surface and fractures through this tubercle is often associated with arthrosis. 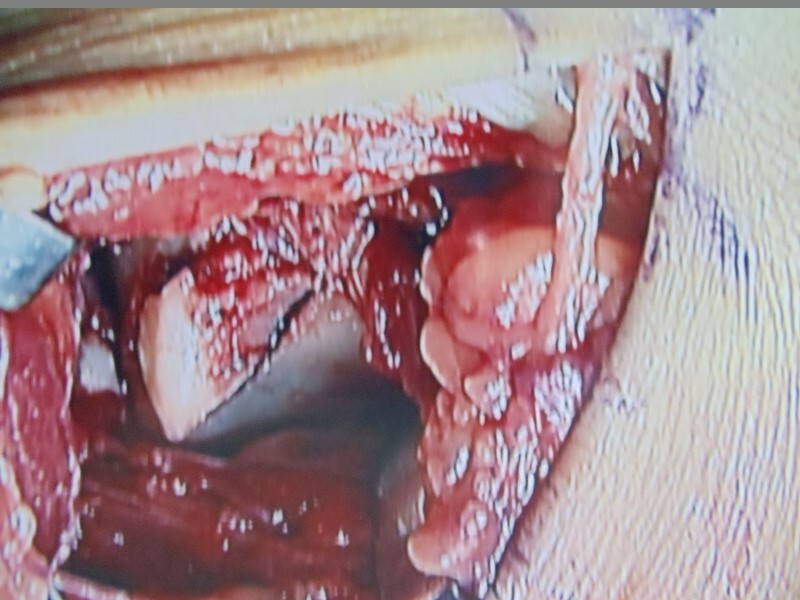 Serves as an attachment for posterior 1/3 of the deltoid ligament. 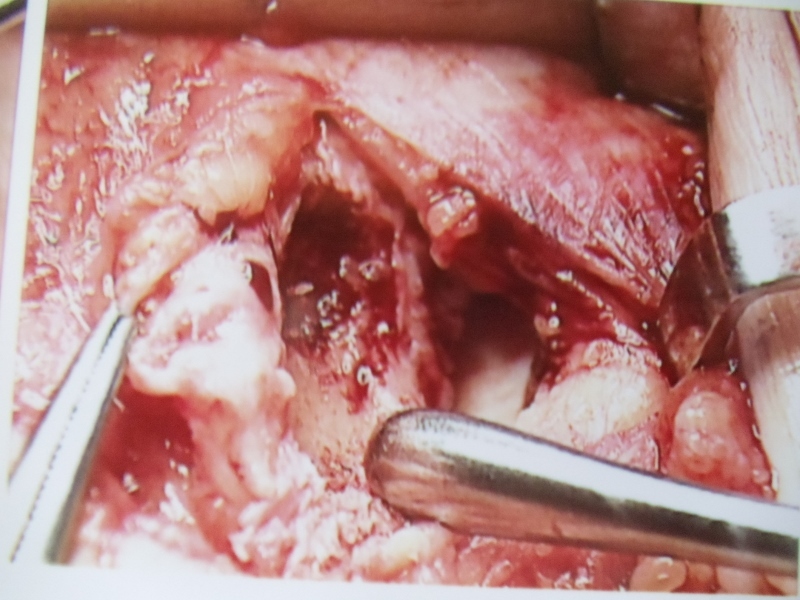 Serves as the medial limb of the bifurcate talocalcaneal ligament inferiorly. 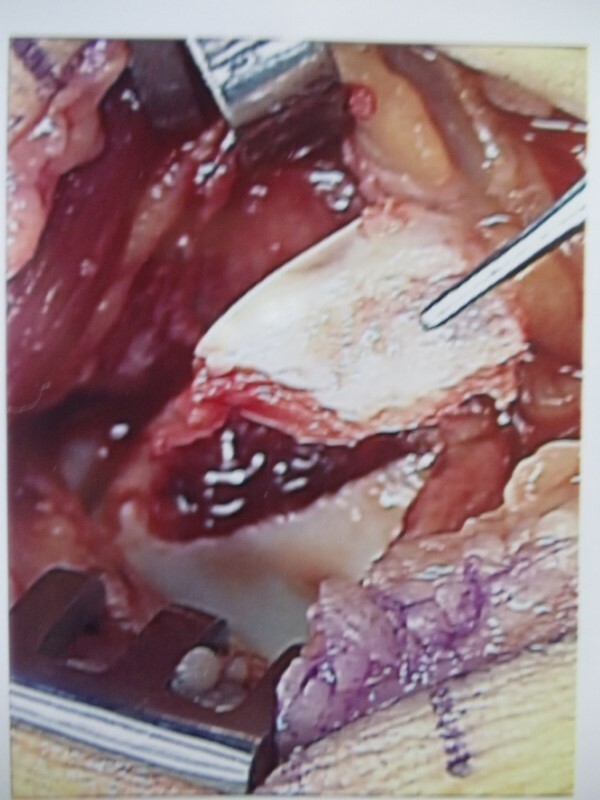 Inversion of the ankle may avulse tubercle leaving the PTFL intact. The fracture may also occur when the ankle is forced into extreme equinus. Patients will present with ankle sprain symptoms. Posterolateral ankle tenderness may be elicited. Decreased and painful motion of the ankle and subtalar joints. Active flexion of the great toe may also produce pain as the FHL moves over the fracture site (between medial & lateral tubercles). Look for tenderness and perhaps a mass just posterior to the medial malleolus and pain with motion of the great toe (due to the motion of FHL). Treatment may involve excision of the fragment. Below is a CT scan sequence of images that demonstrate a fracture through the talus body that also involves teh subtalar joint and the ankle joint and thus is called an intra-articular fracture with some comminution that can be seen on the coronal image at the top right.